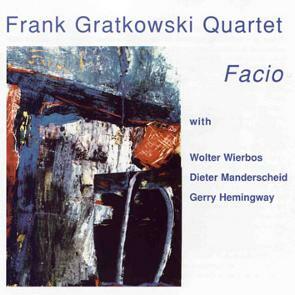 With his second release for Leo Records, Frank Gratkowski forms a synthesis of composition and improvisation in which all the instruments/players contribute equally in building a unified whole. The music is specially composed by Gratkowski to showcase the extraordinary abilities of each member of the Quartet: Walter Wierbos - trombone, Dieter Manderscheid - bass, Gerry Hemingway - drums. FACIO is a 65 minute journey through different territories and styles. Brilliant liner notes by Steve Day.